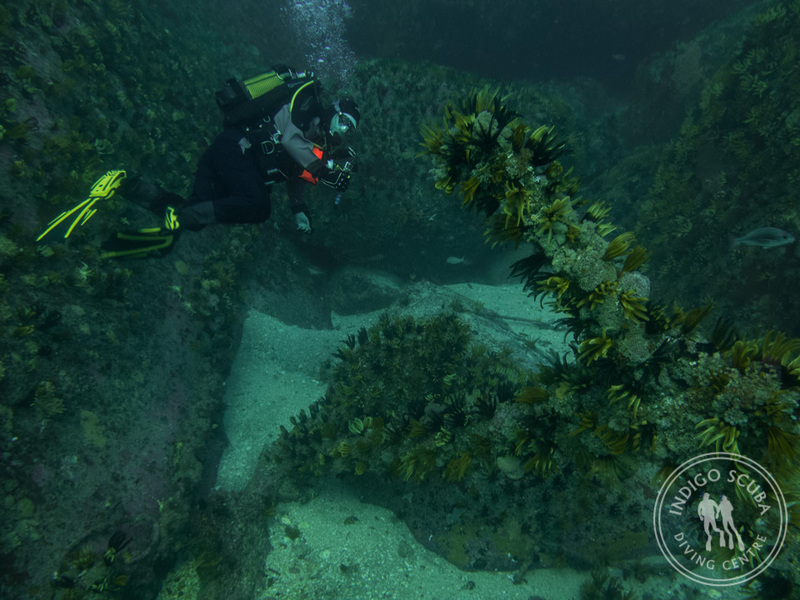 This past weekend was a whirlwind of diving – a fantastic night dive at Rooi Els followed by dives along the Gordon’s Bay Coastline on Saturday and Sunday. On Friday evening, we drove through to Rooi Els for a night dive at Balcony. 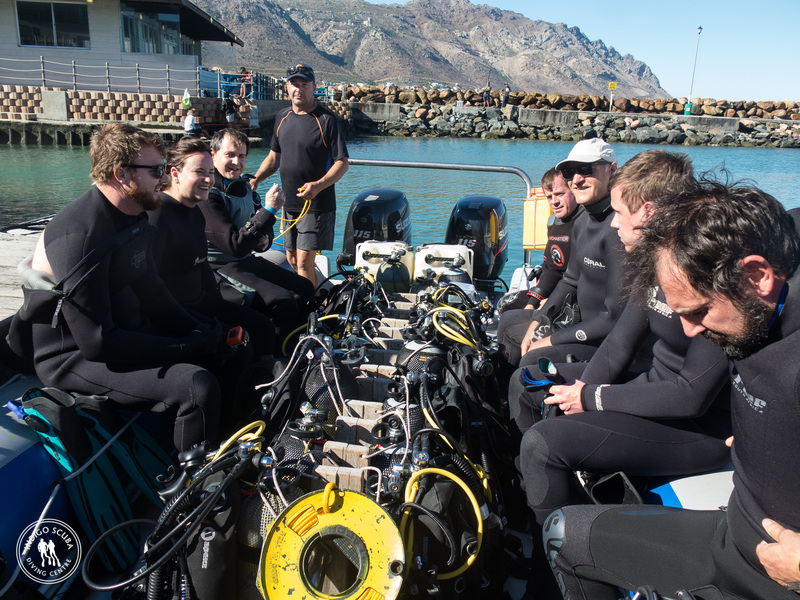 As there were 15 of us, we broke into three smaller groups and all took slightly different routes. 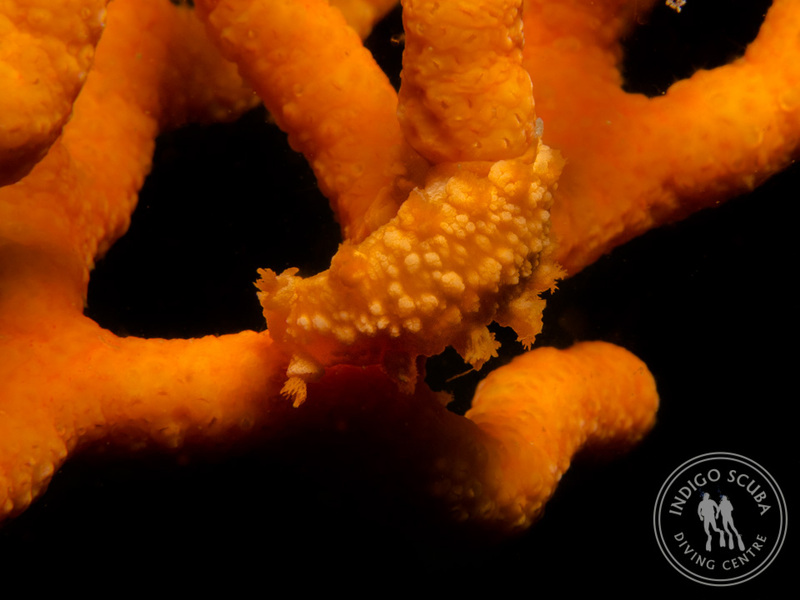 The evening was warm and windless, and the water flat and calm – a perfect evening for a fun and relaxing night dive. 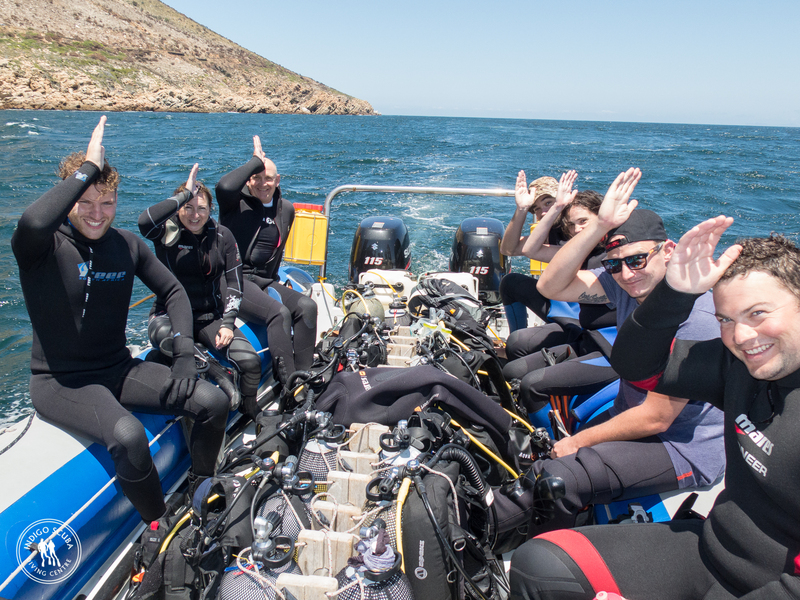 Our Saturday launches took divers to Steenbras River Mouth and Pinnacle. 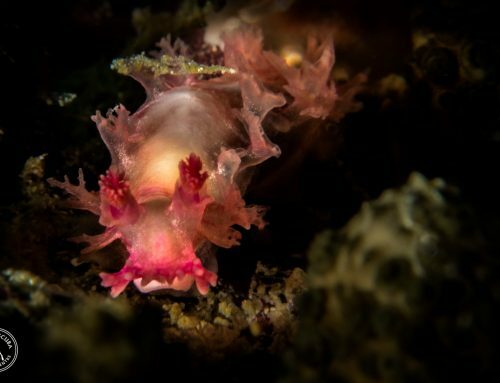 We had two brilliant dives with so much to see. 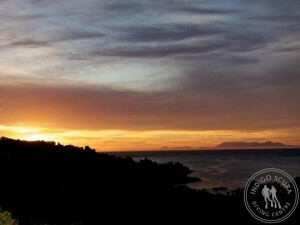 Steenbras River Mouth is a series of long ridges and gullies running parallel to shore. 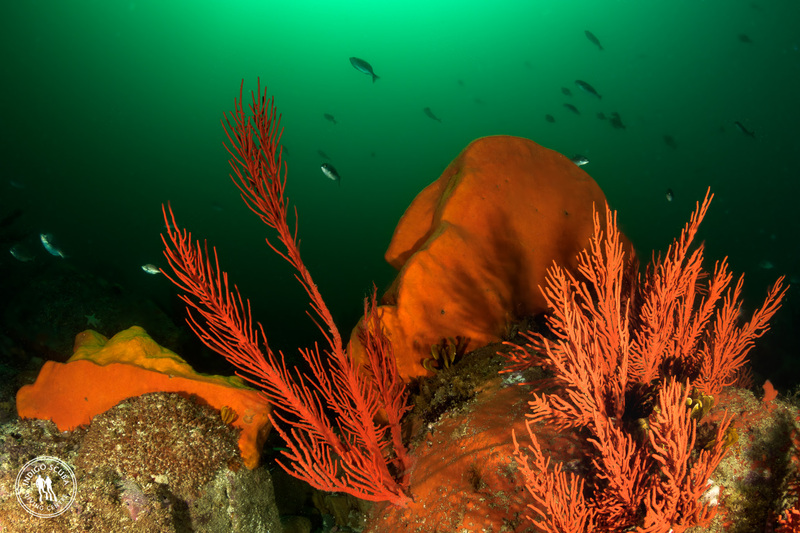 The ridges are covered with colourful soft corals, lacy false corals, hydroids, sponges, feather stars, ascidians, palmate, sinuous and flagellar sea fans and huge orange wall sponges. 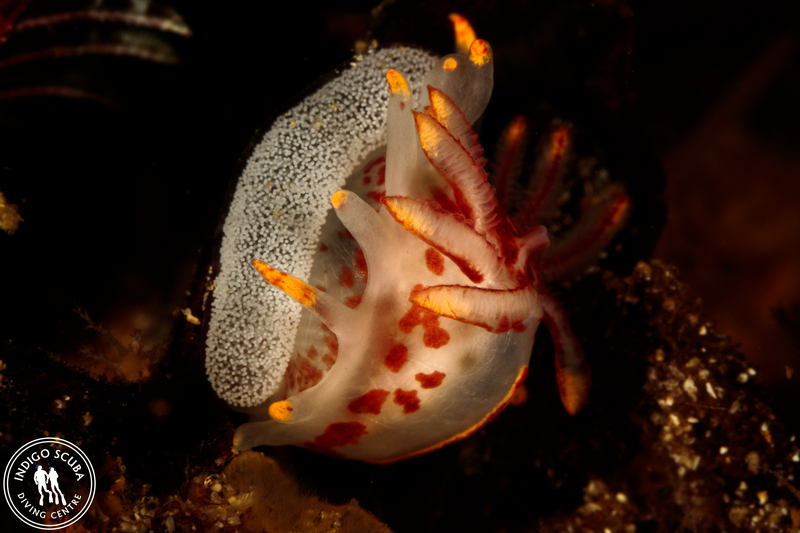 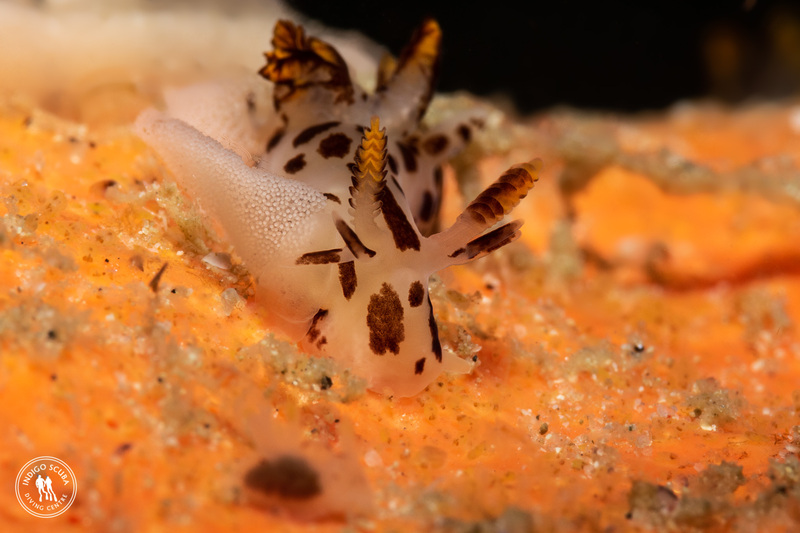 The reef is home to many different types of nudibranch, including red spotted nudibranchs, black nudibranch, and blue, salmon and orange gasflames. 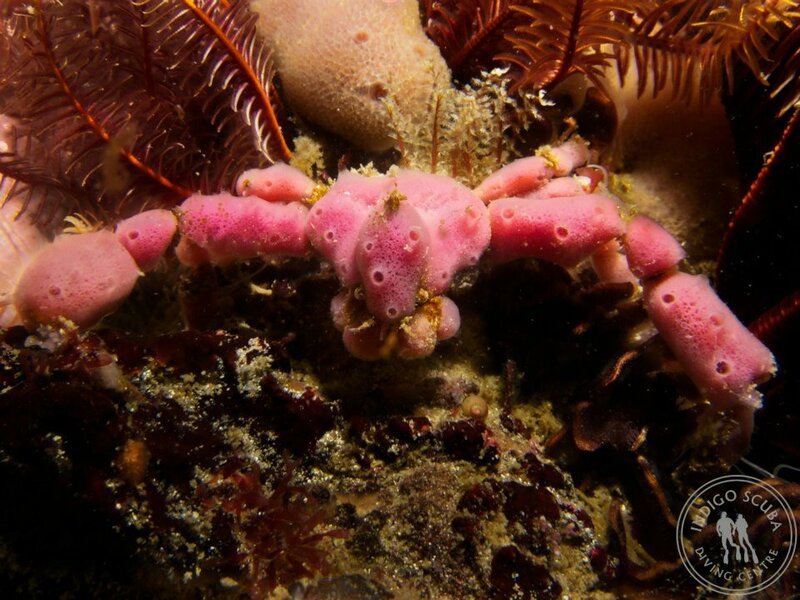 Jaco spotted a Hotlips Spider Crab at Pinnacle, not often seen as they are so well camouflaged. 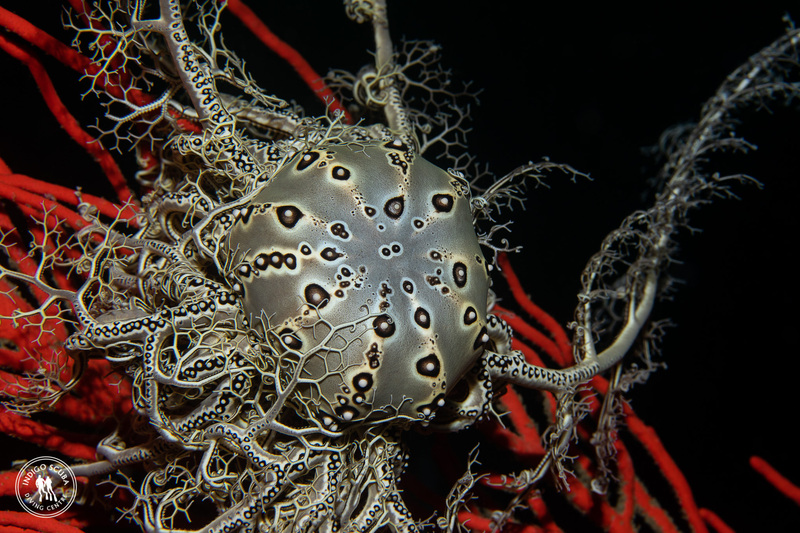 This one was covered with purple sponge and was quite easy to see. 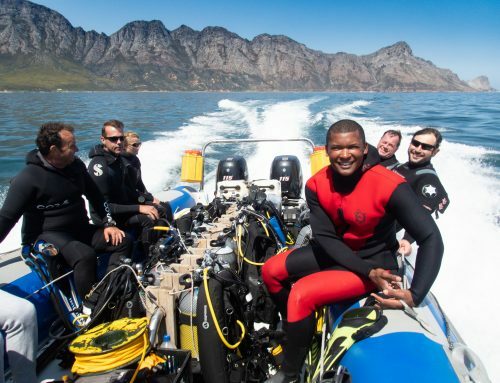 On Sunday, we went out to Steenbras River Mouth and Stone Dog. 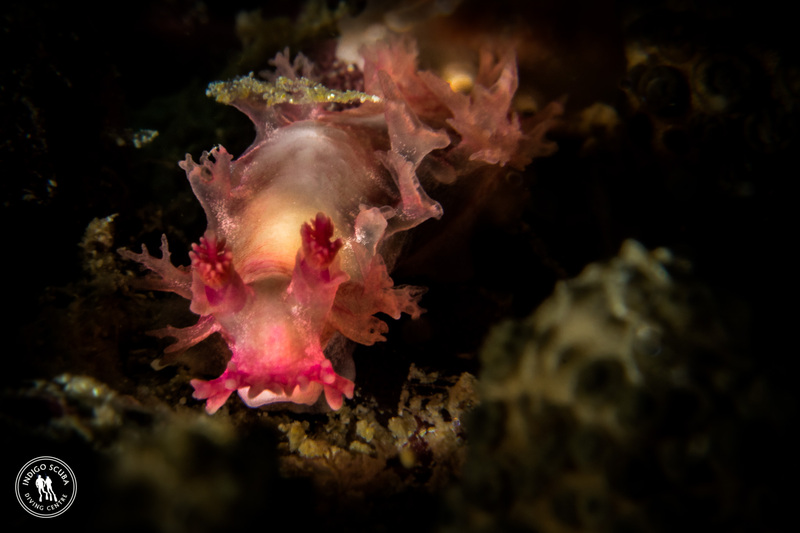 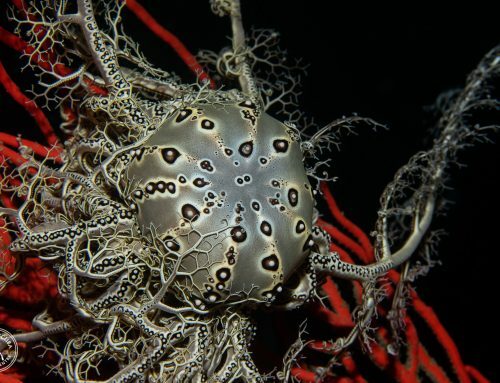 Two really nice relaxing and interesting dives with fascinating marine life. 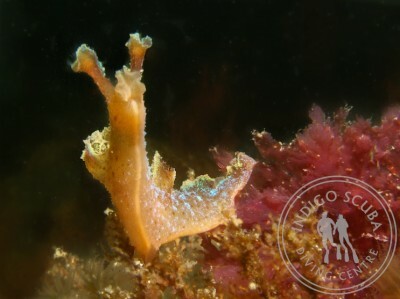 One area of Stone Dog reef was covered with irridscent nudibranchs, another area with red spotted nudibranchs and another area with silvertip nudibranchs. 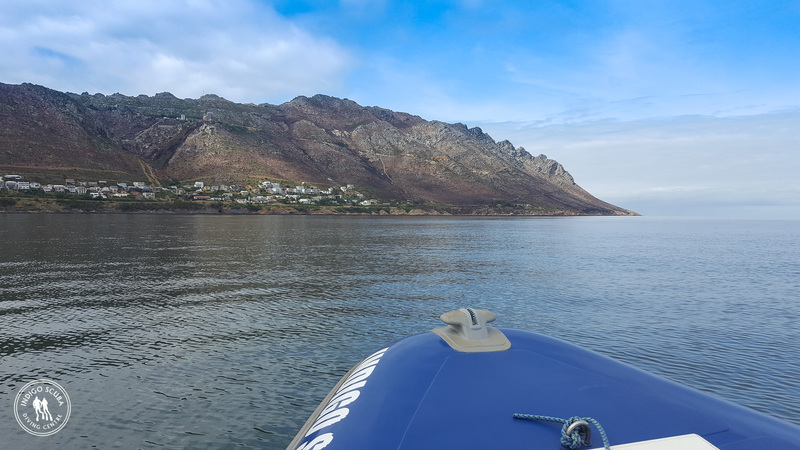 We found a beautiful cuttlefish parked off on one of the rocks just watching the fishy world go by; and for the last part of our dive at Stone Dog, we were accompanied by a group of 5 very playful and inquisitive young seals. 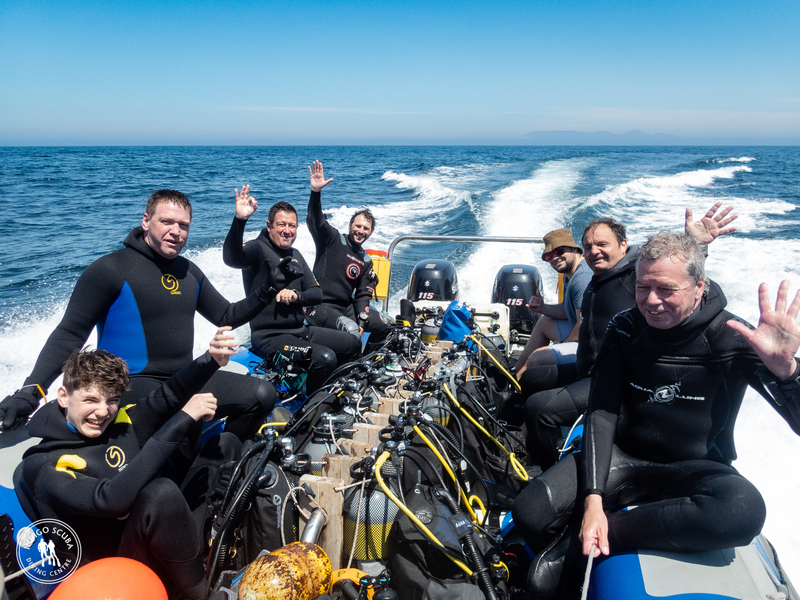 It’s great to be diving our side of False Bay again, after a winter of diving in Simon’s Town, Mozambique and the Red Sea – there’s nothing like diving on home “ground” again. 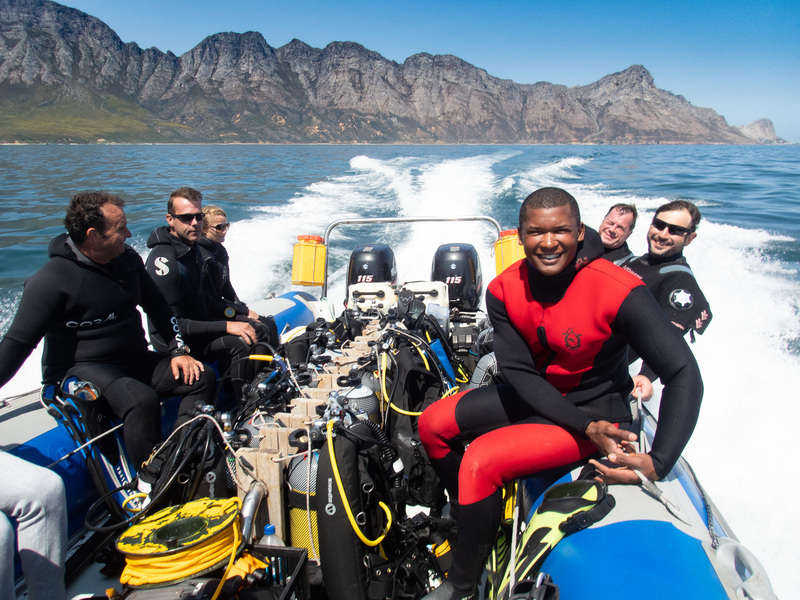 We’re looking forward to a great summer diving season and hope you’ll come and join us – subscribe to our mailing list or follow us on Facebook to stay in touch with our plans – or book by calling Deon on 083 268 1851 or emailing us on info@indigoscuba.com. 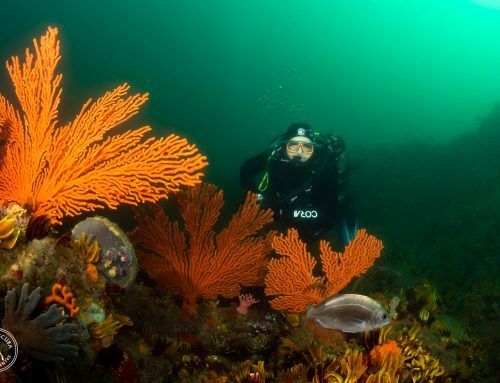 You’re in for really special diving, and some of the very best of Cape Town diving! Weekend Dive Report: Great diving along the Gordon’s Bay Coastline! Weekend Dive Report: Exciting diving and lots to see! 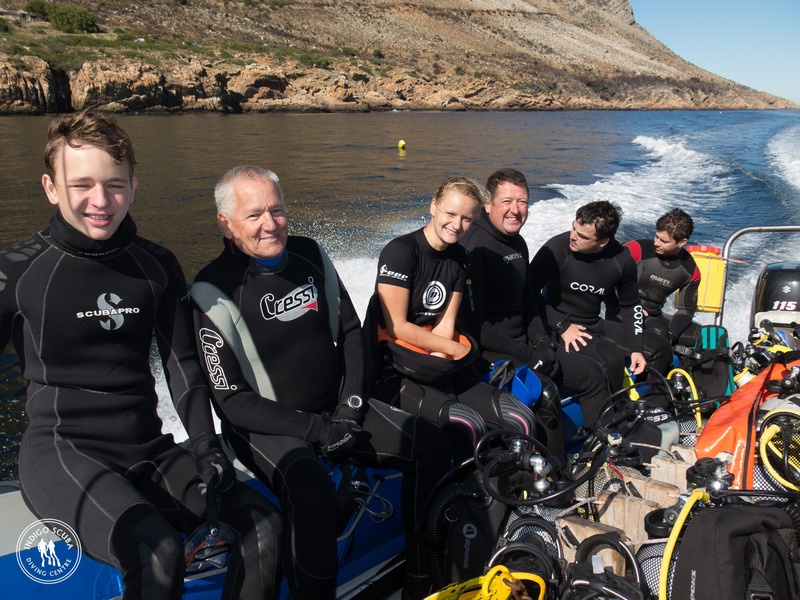 First of this season’s summer dives – Coral Gardens at Rooi Els! 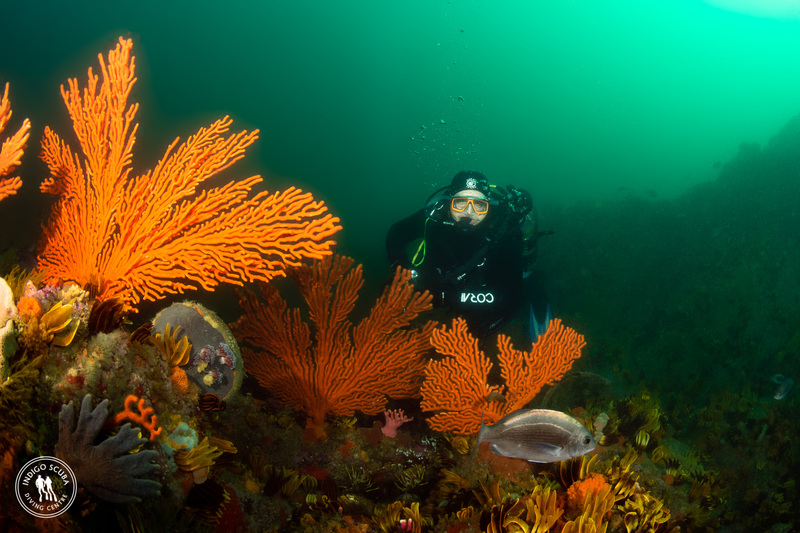 South Easter Brings Great Diving!